Business Process Management (BPM) is a discipline in operations management that uses methods to discover, model, analyze, measure, improve, optimize, and automate business processes. 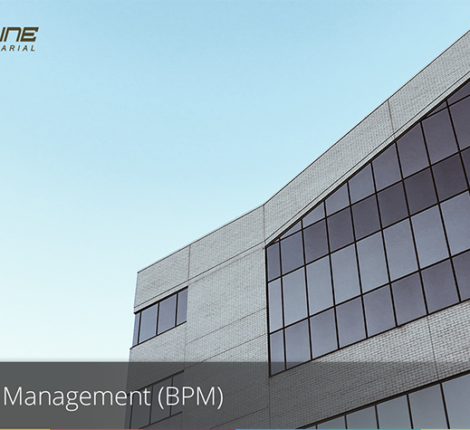 BPM focuses on improving corporate performance by managing business processes. Any combination of methods used to manage a company’s business processes is BPM. Processes can be structured and repeatable or unstructured and variable. Though not required, enabling technologies are often used with BPM. It can be differentiated from program management in that program management is concerned with managing a group of inter-dependent projects. in many viewpoints, process management includes program management. In project management, process management is the use of a repeatable process to improve the outcome of the project. As an approach, BPM sees processes as important assets of an organization that must be understood, managed, and developed to announce and deliver value-added products and services to clients or customers. This approach closely resembles other total quality management or continual improvement process methodologies. BPM promotes the adoption of a process approach when developing, implementing, and improving the effectiveness of a quality management system to enhance customer satisfaction by meeting customer requirements. BPM proponents also claim that processes can be improved, supported, or enabled through technology. As such, many BPM articles and scholars frequently discuss BPM from one of two viewpoints: people and/or technology. BPM is now considered a critical component of operational intelligence (OI) solutions to deliver real-time, actionable information. This real-time information can be acted upon in a variety of ways – alerts can be sent or executive decisions can be made using real-time dashboards. OI solutions use real-time information to take automated action based on pre-defined rules so that security measures and or exception management processes can be initiated. Because the size and complexity of daily tasks often requires the use of technology to model efficiently when resources in technology became increasingly widespread with general availability to businesses to provide to their staff, Many thought of BPM as the bridge between Information Technology and Business.